Announcements: Eco Crafts Workshops, Global Style in Manila, and win a Nokia Lumia / Trip to Boracay by Globe! 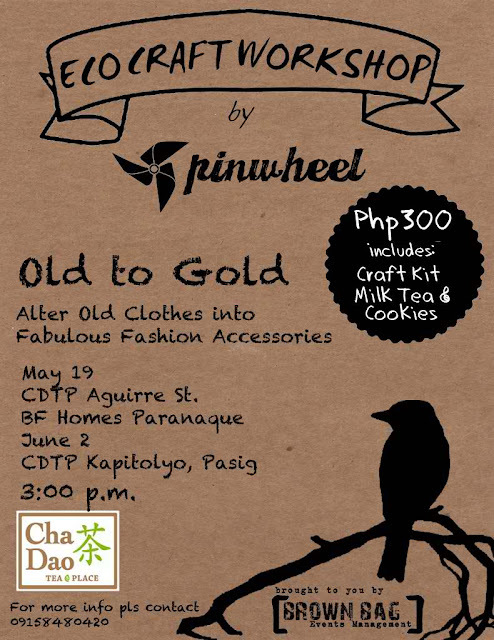 Workshop Fee is only Php300 and is inclusive of Craft Kit, Milk Tea and Cookies. Transform Recyclables like plastic bottles into home furnishings that will beautify your homes. Michael Antonio: Global Style in Manila! From the heart of L.A. to New York, and now, Manila, Michael Antonio launches its newest collection of glamorous shoes, celebrities the world over love. From dotted prints, tropical floral, romantic styles and metallic heels, every pair evokes the classy and feminine subtleties that Michael Antonio has been known for. Taking notes from the old-world charm and muted glamour of the 50s woman, Michael Antonio presents its take on feminine retro. Platform wedges in polka dotted prints and lace-like laser cut designs imbibe the chic punctuations of 50s style mavens. Be it over afternoon cocktails in Honolulu or just sipping pinacoladas, poolside, nothing spells fashionable summer than bright and festive heels in tropical floral prints. For this season, the gladiator sandals make a fashionable return. Reinvented with spring chic in mind, candy colors in textured in animal skin give the roman staple a stylish facelift; comfortable and fun for casual strolls in the park and even, on the beach. Inspired by the tribal trend that splashed on the runways, Aztec prints provide an exciting style nuance to the feet. The tribal trend is here to stay. come and visit all 7,107 islands of the Philippines! 1. All Filipinos, wherever in the world they are, are free to submit entries. 2. To join, participants must capture themselves in a video or photo, solo or in a group, inviting foreigners in a fun way to visit the Philippines. 3. Unique pictures and videos will be accepted as long as it shows how fun it is in the Philippines. 4. All submissions must have the DOT tagline "It's more fun in the Philippines" using the Harabara font. It can be placed at any point in the material. It can be shown visually or mentioned verbally. 5. A website portal/application in the Globe Facebook page will be provided by Globe where the videos can be uploaded. Uploader must provide his name, location, and contact details upon submission of entry. 6. Submissions can be made from April 01 to May 31, 2012. 7. The best and most fun submissions will be chosen by Globe and DOT representatives and will be put together in one video invitation for all countries in the world. 8. The commercial will then be released and shown worldwide in various international channels (i.e. TV channels, LED sites abroad, etc.) as the Philippines' invitation to the world. 9. Final products will also be downloadable and share-able from the Globe Facebook page. 1. One Nokia Lumia 610 will be given to the best video submitted for the week. 2. One 3-day Boracay family package worth P50,000 will be given away for the best video submitted for the entire campaign.